Fully self contained with island bed for Mum and Dad, 3 bunk beds for the kids, separate shower and toilet, tv and reverse cycle cooling and heating. Ideal for free camping with a 120 amp battery and 150 W roof solar panel. Gas or electric hot water, large 3 way fridge/freezer, full size oven and cook top. Generator available to hire if required. Portable Electric Brake Controller available to hire. A frame mains water tap, Tool box with generator slide, Roll out awning, Microwave, Washing Machine, 2 x 95L water tanks, Three way 184L fridge/freezer, Gas or electric hot water service, Gas and electric stove top, full gas oven, Outdoor charging stations for smart phones, Bike rack included, two jerry can holders and two spare tyres. No Smoking in or near the Caravan. No Dirt/heavy corrugation, or red dust roads without owners approval. Return Caravan in the same cleaned condition as when it was received by you. Report any damage no matter how minor. 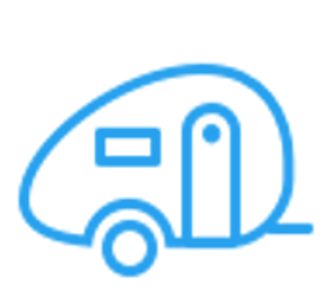 Toilet and other cleaning charges apply if not satisfactory cleaned prior to returning the caravan. What a beautiful van! Rick was exceptional to deal with. We cant wait to re hire your van again!